As we are taught in elementary school, the difference between fiction and nonfiction is quite substantial. Nonfiction is meant to inform by sharing factual information and data that educates us. Whereas fiction is meant to entertain us with stories that are built on fantasy and untrue events. At times, fiction can be based on some factual historic event or supported scientific theory, but the writers and developers of the work of fiction generally take some license as they adapt the factual information with a heavy dose of fiction to entertain us and keep us hooked on the product that they generate. We have to admit that, at times, some works of nonfiction have been labeled as dry, boring and “too wordy,” with passages that are quite long and sometimes lose us along the way. When reading nonfiction, we often have to re-read the same sentence several times as we interpret the meaning and make the understanding our own. The same challenges that adults may face with nonfiction are not very different than the challenges that children face when reading nonfiction in science, history and other classes at school or when learning a new topic for a book report or project. Teachers work to determine the best instructional methods that they can employ to successfully educate their students with valuable factual information. When writing nonfiction for children, it is important to remember who your audience is so that, like a teacher, you are presenting the material in a way that is less challenging for their level of learning. That being said, nonfiction works do represent valuable information that children need to learn. Nonfiction for children generally includes shorter passages on each page of text combined with colorful illustrations to demonstrate the concept that is being shared. The age-level of the intended audience determines the complexity of the illustrations. For younger audiences, perhaps toddler through first grade, the illustrations are rather simple with less detail and larger images. The illustrations are bright with vivid colors that are inviting to the learner. When moving upward in audience age, the illustrations become more refined with greater detail so that the intricacy of the concept is more readily understood. In the same way that the illustrations appeal to different age groups so do the words that the author uses to convey the concept of the published work. Early in the writing process, an author determines who the intended audience is for their work. Will the book be intended as a storybook where an adult or older child will read the work to a younger child? Is it intended to be a picture book that a young child can “read” independently? The answers to these questions will provide the direction in which the author works while writing and collaborating with an illustrator and editor. Picture books are appealing to children because they are meant to entertain while informing. In many instances, their messages or valuable pieces of information are supporting the illustrations rather than the opposite when writing for an older audience. Picture books for young children have illustrations that are large, often encompassing an entire page with short, concise and succinct text that helps to explain the illustration. Fiction and nonfiction books for children often look very much alike until you read the title or the first few sentences. Once you have read a picture book to a young child, it is fun to ask if they think the story was real or just pretend. With so many clothed, talking animals in our picture books, young children probably wonder why their own pets don’t talk! But remember that the talking animals in their nonfiction picture books are teaching them a valuable piece of information, even if we don’t always agree with their sense of fashion. 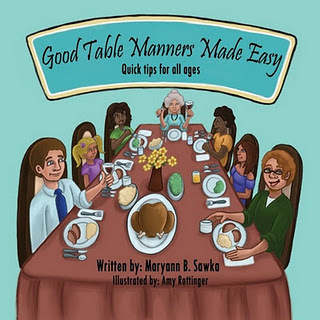 Good Table Manners Made Easy is a quick, easy-to-read resource that teaches basic table manners in a delightful fun way. It also serves as a quick refresher for the table manners that we may have forgotten. 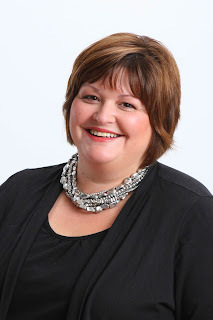 You can find out more about Maryann B. Sawka’s World of Ink Author/Book Tour schedule at http://storiesforchildrenpublishing.com/MaryannBSawka.aspx. There will be giveaways, reviews, interviews, guest posts and more. Make sure to stop by and interact with Sawka and the hosts at the different stops by leaving comments and/or questions. In addition, come listen to Blog Talk Radio’s World of Ink Network show: Stories for Children at http://www.blogtalkradio.com/worldofinknetwork. The hosts VS Grenier, Kris Quinn Chirstopherson and Irene Roth will be chatting with Maryann B. Sawka about her book, writing, the publishing industry and experiences. Sawka will also be sharing writing tips and trials, and the tribulations of the writer’s life. The show will air live January 16, 2012 at 2pm EST. 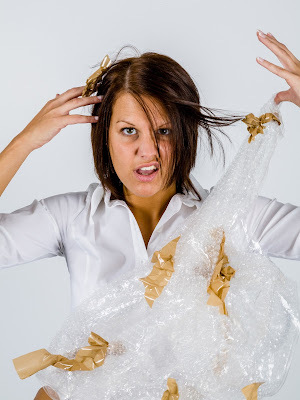 Thanks for this Maryann. It's certainly given me something to think about.